One person was killed in crash Wednesday morning on I-79, near the Pennsylvania state line. 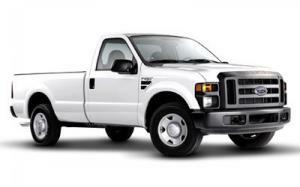 According to a press release: A 2008 Ford F-350 Super Duty truck belonging to Energy Contractors LLC was headed north on I-79 when the driver lost control, near the 158 milepost. The truck went into the median and flipped several times, throwing out the driver and a passenger. The driver was pronounced dead at the scene; the passenger sustained minor injuries. A Weston man was identified as the victim of Wednesday’s fatal crash on Interstate 79. The accident was reported to MECCA 911 at 6:28 a.m. The southbound lanes of I-79 were shut down for about an hour and a half, during which the Pennsylvania Department of Transportation routed traffic from the Mount Morris exit to U.S. 19. According to its website, Energy Contractors provides a range of services for the oil and gas industry throughout the northeastern U.S. and Appalachian basin. If you have any questions regarding injuries from truck accidents, contact our office by calling 304-594-1800 (after hours 304-216-6695) , or email Jeff at jrobinette@labs.net. We answer questions like yours everyday,and would be glad to give you the answers you need when navigating the insurance claim settlement process.